#BlackGirlsMIA boldly centers the lives, lives experience and voices of under served girls of color in Miami-Dade County. It is our duty to FIGHT for our FREEDOM! The Miami Black Girls Matter Coalition seeks to address the many dangerous odds facing young women of color in America. From public education to the criminal justice system, the various institutions that come in contact with black and brown youth fail to address issues that disproportionately impact young women and girls of color. Through a series of Black Girls Matter workshop circles, we’ve created radial and safe spaces for black girls to share their experiences of school pushout, suspension, and criminalization. 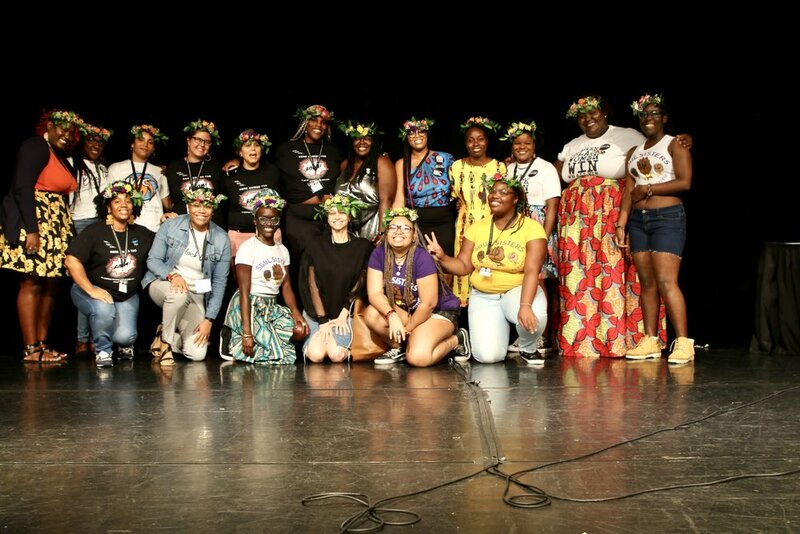 The #BlackGirlsMIA curriculum uses storytelling, restorative practices, and artistic expression as vehicles of transformation that spark youth leadership and development. Youth are brilliantly passionate and ready to make their voices heard. The leadership fellowship is designed to equip youth with new tools for fighting injustice while sharpening their skills to create bold, fearless leaders who are ready to take on the world around them! The same goes for social justice. It takes a village. In order to tear down the systems and structures that oppress youth of color today, we must work collaboratively to create the world we want to see. Youth are the one’s best capable of creating the world they envision. As allies, it is our job to provide them with the tools necessary to make their voices heard. We are the vehicle they use to drive their liberation. Black girls demand changes to be made to the oppressive forces that harm them on a daily basis. Black girls should be free to be LOUD, EXPRESSIVE, BOLD, or OUT THERE if they so choose to be. Black girls are no longer standing by in an oppressive world but are demanding the world they want to live in. The world they deserve!